Ace Hardware’s annual Winter Round Up campaign kicks off on Black Friday, Nov. 24. Your donations help fund life-saving pediatric care for local kids like Roxie the 2017 Ace All-Star. Roxie is a Miracle Kid and patient of St. Louis Children’s Hospital and SSM Health Cardinal Glennon Children’s Hospital. Roxie was diagnosed with stage IV high risk neuroblastoma, an aggressive form of pediatric cancer. 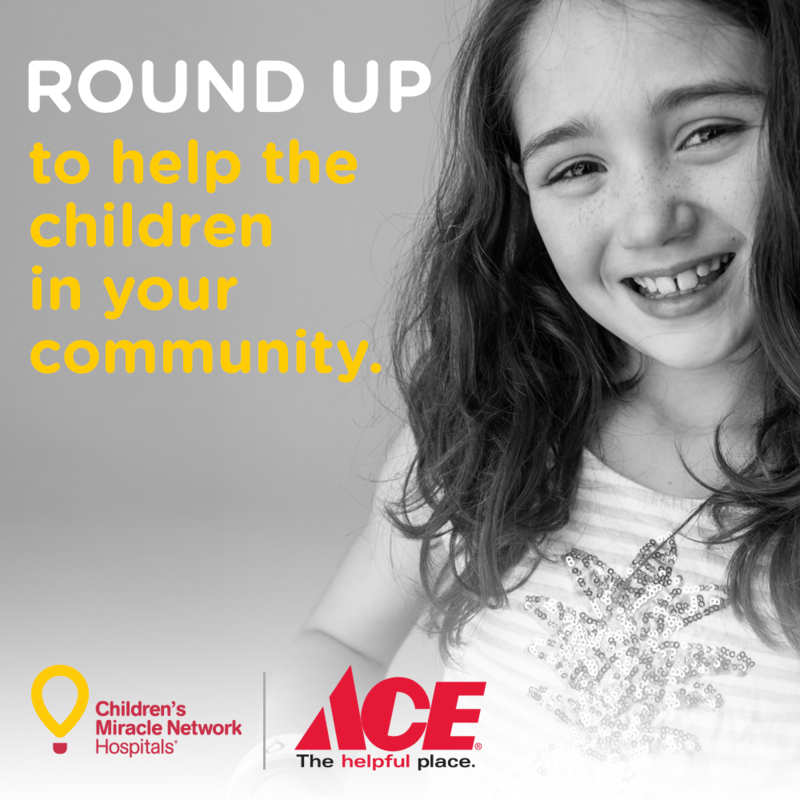 You can “Round Up” at participating Ace Hardware locations between Nov. 24 and Dec. 24.